Tayal Tour & Travels have organize the International Tickets as Air India, Jet airways, Kingfisher, Lufthansa, KLM, and Gulf Airline etc. 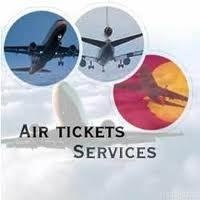 we also arrange Domestic tickets as Go Air, Indigo, Deccan, Sahara Airlines and Kingfisher etc. We are assure that to arrange the cheapest tickets for You, with your safety having better options, service, staff and try to get more in flight (comfort, leisure and food). Our representative will contact you within 24 hrs after submitting your form. Please make sure to fill up the form in a correct way to easy to find out the better options for you to our representative.